At PubMatic, we understand that in order for programmatic in-app advertising to reach its full potential, our industry needs clean up the in-app environment and provide buyers with transparency into the authenticity of app inventory. That is why we are announcing our steadfast commitment to enforce the IAB Tech Lab’s recently released app-ads.txt standard. According to a new company policy, apps will not be able to monetize traffic via the PubMatic platform that is unauthorized according to the seller’s app-ads.txt file. PubMatic is committed to being the highest quality SSP, and to working together with other stakeholders across the supply chain to clean up the in-app ecosystem. 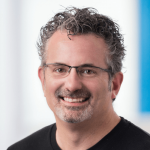 In-app inventory is extremely attractive to marketers, particularly because of the advanced targeting capabilities and increased customer engagement the channel provides. However, fraud remains the number one challenge of programmatic in-app advertising identified by advertisers. With the new policy, for every mobile app with an app-ads.txt file, a PubMatic supply partner can only monetize inventory on that app if the PubMatic ID is assigned within the file. Due to the high risk of quality issues with app inventory, PubMatic has adopted an aggressive deadline of May 1st to begin enforcing the policy for all app inventory, coinciding with the release of our app-ads.txt crawler and filtering system. Brand advertisers can be more confident accessing programmatic in-app inventory via PubMatic, knowing that their ads will not appear on fraudulent sites. 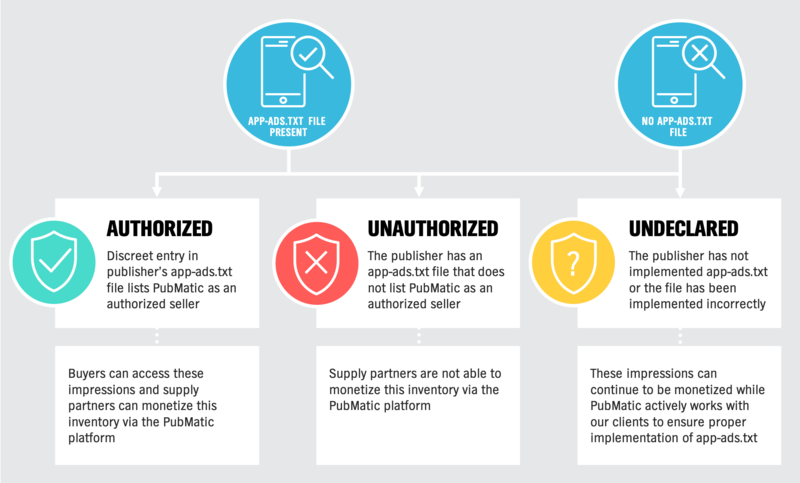 In addition to supporting app inventory with our Fraud Free Program, enforcing app-ads.txt allows PubMatic to ensure greater levels of brand safety since unauthorized inventory will not be accessible via the PubMatic platform. Spoofed inventory has been a large source of fraudulent activity and mutual frustration shared by buyers (who think they are buying quality premium inventory) and publishers (whose authentic inventory is not getting maximum value) alike. In 2017, ads.txt for desktop was introduced to combat this problem across the web. 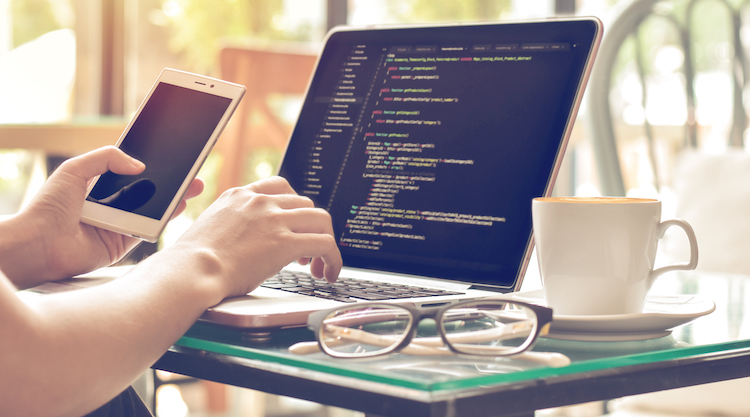 After a long ramp-up period filled with heavy education, adoption of ads.txt has reached over 88 percent adoption among the top programmatic publishers in the US. The specification for desktop is now widely accepted and valued by the industry. While spoofing activity has dropped precipitously on desktop, especially for highly-coveted premium inventory, the story is very different for mobile environments. DoubleVerify found that in-app ad fraud grew 800% year-over-year in 2018 and was highlighted by a number of high-profile schemes. In-app inventory has an even higher risk for spoofing than desktop inventory due to the lack of transparency into how code is executed within an app. Unlike with desktop spoofing, there is no technical way to determine the actual traffic source being spoofed by an app without cracking into the app itself. That is why the app-ads.txt standard is so important to the industry. As we saw with desktop inventory, driving adoption of the app-ads.txt standard is a necessary step to protect buyers from advertising on fraudulent app inventory. We are building technology and working closely with our app publishers to support them in adding the app-ads.txt file to their applications and ensuring the files are accurate and current. To learn more about our quality initiatives, check out our Inventory Quality page or contact us.